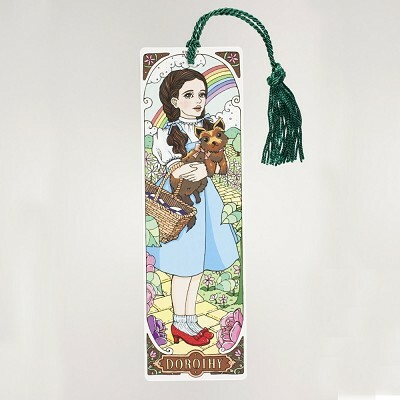 Strong and colorful bookmark with Dorothy and Toto on the front. The quote, "There's no place like home" is featured on the back. 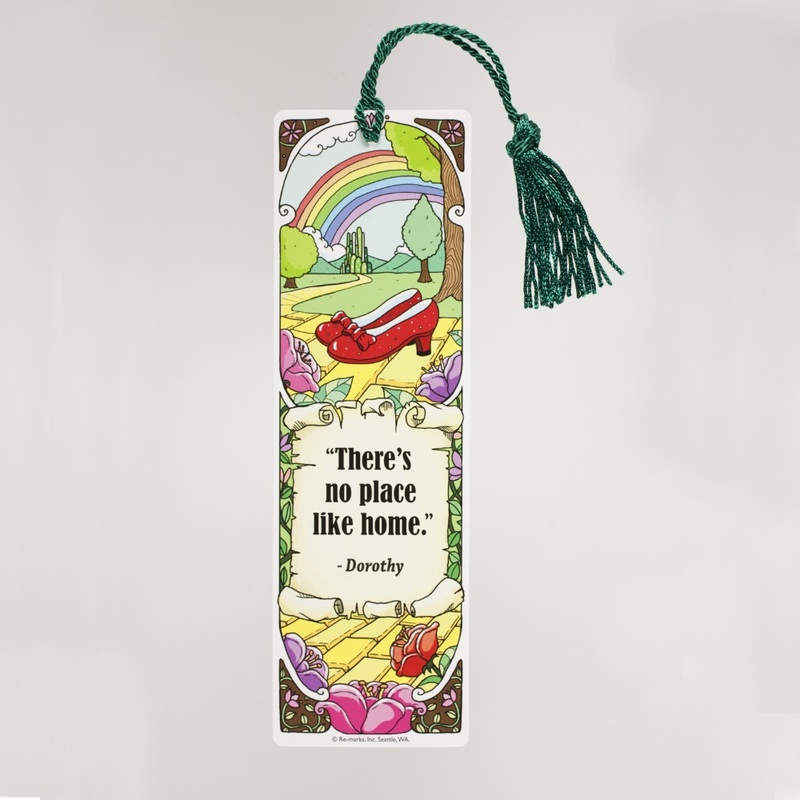 Bookmark has a green tassel to help easily find your place. Made in the USA.